Delhi: North Delhi Municipal Corporation (NDMC) has been facing monetary difficulties for a long time, a condition which has made the government body propel a proposal of surrendering five of its hospitals and a medical college to the central government. According to a recent PTI report, the executive wing of the cash-strapped NDMC had proposed handing over its hospitals and medical college to the Centre, officials said.The proposal came up before the standing committee of the BJP-led corporation, but the item was “postponed”, an official said. 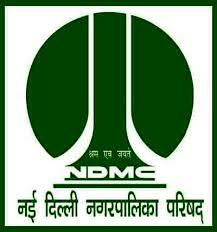 NDMC has five major hospitals under its jurisdiction and a medical college, since the trifurcation of then unified MCD. Some of the major hospitals under NDMC are Hindu Rao Hospital attached with a college, and Kasturba Hospital. It has been said by the Standing Committee that the five hospitals including : The multi-specialty Bara Hindu Rao Hospital in Malka Ganj and Balak Ram Hospital in Timarpur; Kasturba ‘maternity’ Hospital near Jama Masjid, the Rajan Babu Institute of Pulmonary Medicine and Tuberculosis (RBIMPT) in GTB Nagar, Girdhari Lal ‘maternity’ Hospital near Ajmeri Gate and Maharishi Valmiki Infectious Diseases (MVID) Hospital in Kingsway Camp incur Rs 500-600 crore expenditure per annum. Lack of cash is indeed making it difficult for the organisation to make The letter written by the commissioner, Madhup Vyas, says “As per the report of the Finance Department, the salary burden constitutes about 85 percent of the total expenditure. It may be noted that the 7th Pay Commission was implemented in October 2016, so only six months’ salaries have been included in these estimates. Also, no arrears have been paid.”. Adding to that, “Due to huge running cost and salary not being paid in time, there is resentment among the staff that affects the functioning of the institutions. In last two years, [protests/strikes] have disrupted their working several times,”. I think this s a great decision through which mcd can b improved.At present colleagues from other cadres wonder when they came to know thatdoctors and staffs in mcd are not paid salary in time despite we being at the heart of delhi and india.I personally know so many senior staffs who r nearing retirement has not paid there arreas for years together.It s appreciable that options will b given for staffs to choose mcd and central govt. It\’s a political gimmicks. If they (MCD) wants to solve the problem, they can stick to there promise during MCD election to unify the MCD and funding through centre but…..nothing to say you all can understand.. Very sad state of affairs for doctors . MCD takes the cream of doctors from upsc . But treats them shabbily . No DA arrears no salary and no 7th pay commission. The non payment of salary and arrears are a chronic problem in the North and East Delhi Municipal Corporations for the last few years. These affect not just employees of health department but all the employees ……… maybe around 1 lakh. Salaries of 2 or 3 months are pending. 7th pay commission arrears are yet to be paid…. …….this is also applicable in the cases poor senior citizens who are pensioners of North and East Delhi Corporations. This situation is very badly affecting the lifes of these employees and their dependents (all together ….1 lakh employees plus 2 or 3 dependents = around 3 to 4 lakes lifes. … affected ). Many have become bank loan defaulters. Few heart attacks and even deaths occurred ….. The situation needs sincere attention of top rulers……..! You are absolutely right, what is the solution? either increase revenue or drastically reduce expenditure,or give these hospitals to central government. Many employees are under Depression. And some poor brothers have been committing suicide due to non-payments. Really, very deplorable and pathetic condition. But what\’s shocking is Political as well as Beurocratic response is insensitive and appalling.